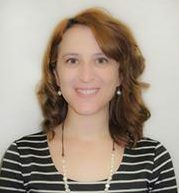 Madeline Juillard is one of the undergraduate coordinators and is an academic advisor for students pursuing a computer science major or certificate. Prior to joining the CS department, Madeline worked with transfer students in UW-Madison’s College of Letters & Science. Madeline earned her Bachelor of Science with a major in psychology from the University of Wisconsin-Oshkosh and her Master of Social Work from the University of Wisconsin-Madison.